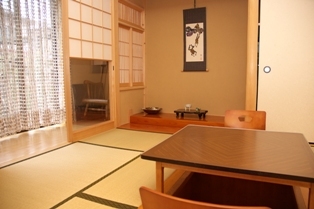 KEISENSOU is a two-story wooden B&B style guesthouse that offers guests the real Kyoto experience. 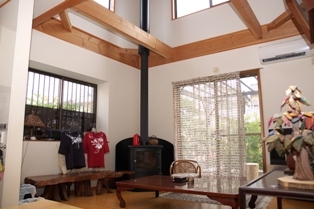 Located in a quiet neighborhood,Keisensou is close to several historical landmarks,including Ninnaji and Ryoanji temples and Arashiyama,and offers easy access to downtown. The Nearby Shijo district abounds with shopping and entertainment options. The guesthouse is available for exclusive long-term stays for both individuals and groups. ●　Personal PC access is available-tha guest must provide own LAN cable. ● One day, One Adult ：　7,000/JPY. accommodation tax on all guests staying within Kyoto City limits starting on October 1,2018. ●　Please tell me the length of stay, the number of people. Please contact us. 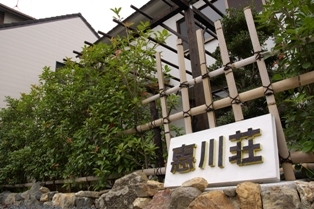 A set of coffee/tea, cakes, and Japanese sweets are available with additional charges.